This is the Decaf Sumatra brought to you by Portola Coffee Roasters. This coffee was sourced from the coffee growing region of Mandheling in Sumatra. 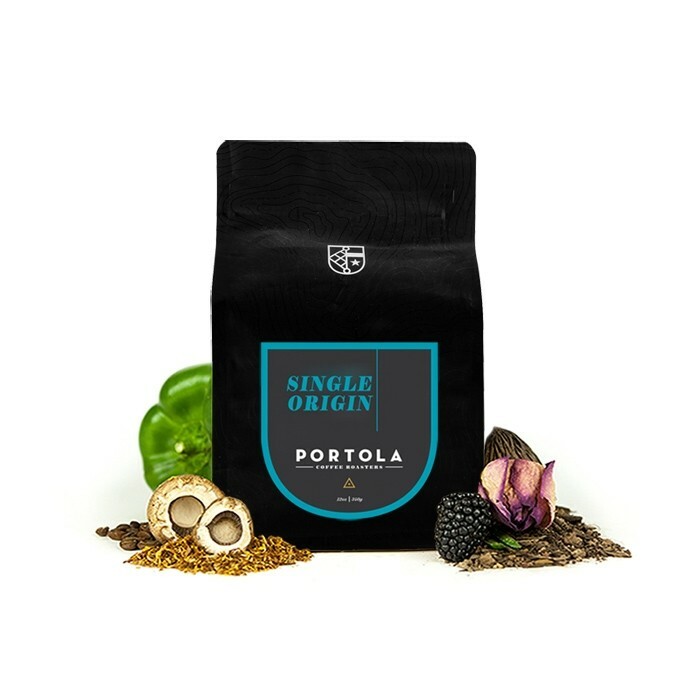 Portola only sources Swiss Water Processed coffees for their decaf offerings. The Swiss Water Process is 100% chemical free and retains so much more flavor than traditional decaffeination methods, it's a decaf coffee that is as versatile as it is flavorful. This coffee is bold with earthy, sweet herbal, and chocolate notes. One of THE best decafs! Def need to reorder! This is a pretty good decaf. Smooth, chocolate without the bitterness that some decafs tend to have. I have to say, this is my favorite so far. The Sumatra is pleasantly bold and chocolatey, which are what I look for in coffee. I've always been a fan of Sumatran coffees, and this one does not disappoint. The flavor is so robust for decaf! A fine dark roast, very strong, bold, and oily.